Early summer is a delight for gardeners because of the abundance of FLOWERS. 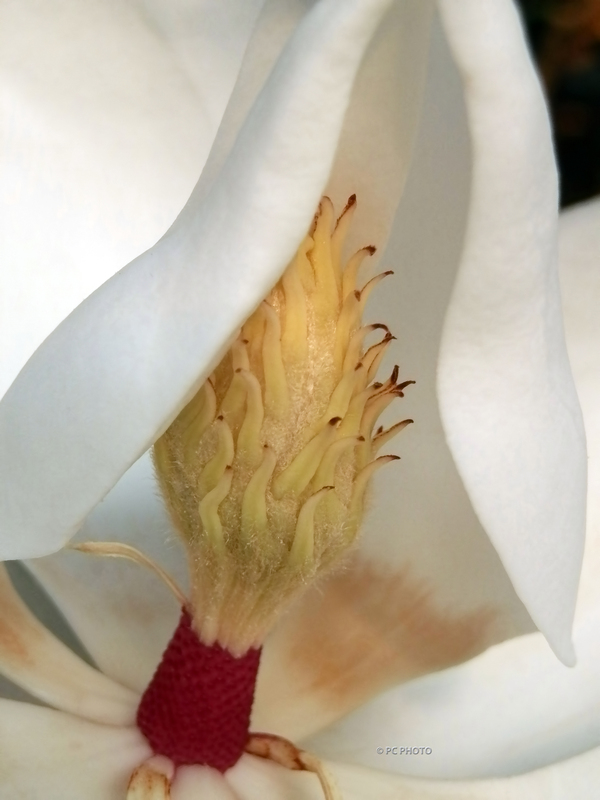 This is a macro view into a Southern Magnolia bloom. The close up look into the flower brought to mind how much this looks like a Jack in the Pulpit and a Peace Lily.